Exquisite luxury beach house in Hanover Beach Colony! Sweeping ocean views! Customized throughout with the finest materials and finishes! Large wrap-around yard with fire pit, putting green, outdoor shower and a spa! Reclaimed antique wood plank floors, Iron stair railings with wood steps and tile risers. Tabarka tile in kitchen and baths! Kitchen boasts leathered granite counters, custom cabinets, Wolfe range, Sub-zero refrigerator, Miele dishwasher! Spa-like master suite overlooking the ocean! See Suppl, "One of a kind" Beach house in South Carlsbad! Hanover Beach Colony is an enclave of homes across the street from Carlsbad State Beach. The community offers pool, volleyball, and parks! This home is perched on an elevated lot with sweeping panoramic Ocean Views!! Every inch of the property has been remodeled and refined! Plank hardwood floors are created from antique wood which has been milled and custom finished. Al interior walls were skim coated to create a smooth texture. Some walls are enhanced with ship-lap and others are paneled including the family room ceiling! The master suite is stunning with a spa like bath featuring a combination of marble and limestone walls and Calcutta marble floor! Shower and freestanding bath add to the ambiance of this relaxing ocean view space! The Kitchen and Family room form a gathering great room with a wall of windows to enjoy the sparking Pacific views! Outdoors the entertaining space offers lots of options from a secluded spa, a putting green, and a beautiful fire-feature! Enjoy gorgeous Carlsbad sunsets from the downstairs entertainment outdoor areas or from the master bedroom deck! Other enhancements include Sea-grass carpet upstairs in the loft and secondary bedrooms and a lush wool carpet in the master. All custom woodwork throughout , crown molding, base, and walls. Woven woods, shutters, and custom drapes adorn the windows. All new interior doors and hardware If you truly appreciate quality, this is the home to see! 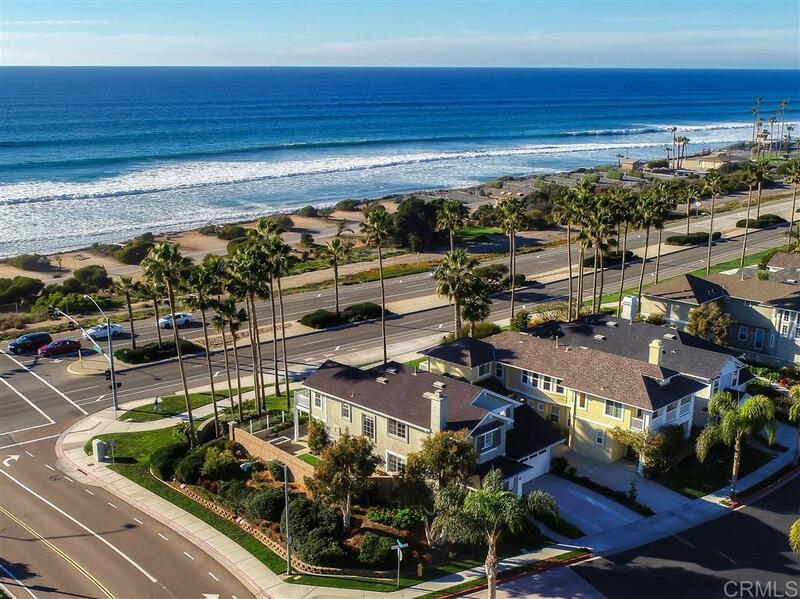 Beach access at South Carlsbad State Beach is just steps away! Wide, tree-lined streets! Easy access to freeways, trains and public transportation, schools, shopping, businesses and miles of breathtaking beaches are just minutes away. Experience Hanover Beach Colonyâit's beachside living the way it was meant to be! !